Well, I guess there can be way to add combiners in game..
Eg... Size Change,, they can be reduced their size a bit to look larger than other but also not too large for them,,, like Beast War characters and small bots like G1 Bee are increased their sizes to match other bots. We may have to collect all combiner bot of same tier to form combiner of that tier.. Once combiner is formed we can Forge component bot without losing combiners. A tab for combiners like there's for bot MOD and relics. Combiners will have their own different classes and no advantage, disadvantage against normal bots. Combiner Sparks-Used in rank up Combiners. Highly Energized sparks with semi transparent diamond-like appearance and glows specific to class color or grey for basics of black and blue mixture for alpha ones. Enigma of Combination: When bots are available, used it to create combiner. Combiner Ore: Exclusive Ore for each combiners class with greater bonus than normal class ores. Energon Ore: Crystalline ore-13 with pink glow like energon... Used to activate combiners. Combiners would be far stronger than normal bots and could be activated for a specific time based on tier of Item used to activate them. 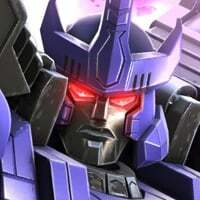 Once every component bot is awakened, Combiner is also awakened, sign level of combiners would be average of sign level of all component bots. There can be needed a Combiner Awakening to apply awakening once all components are awakened. There's another game called Earthwars. I don't see the reason to have a neutral class just to bring in Combiners. What would they be? Sandbags with a lot of health and high attack but clumsy enough to not be able to sidestep a volley of ranged shots? You state so much of an additional level of game design without letting us feel how combiners integrate into the current content, let alone help it. There can be a sixth slot specific for combiners in team. There can be An item like Energon Ore which can be used to activate Combiner for one fight... Combiners might not be revived OR repaired with normal kits. An easier way to do it is just to have a synergy that activates when you have all of the combiners in a squad. Forget making a gestalt bot out of them.. just give each one their respective gestalt synergy and make it op. 75% resistance to energy attacks. I'd be happy to just see some green Constructicons. I'd like to see combiner's in the game. 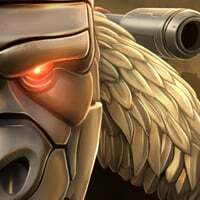 Kabam managed to add Giant Sentinels to Contest of Champions, so I think it's possible, it's just a matter of how they do it. Another is to do it like Power Rangers Legacy War and have combiner fights be a completely separate mode that becomes active during events. Another thing they could do is add Titans to fight them, if people don't mind the heights not being cannon. @M_man Or something like Earth Wars,,, collect all component bots and use some additional currency energon and alloy (gold and ore-13 in here) to unlock and use ore-13(kabam might have to introduce a new item) to activate for a specific time or a mission or a fight. My thought is it would be pretty cool to have a 4th map option in AM, quite a bit tougher than the rest and with only 5 slots instead of 6. Each team member brings a/their unique combiner. All 5= each team member gets to fight with the gestalt in boss or miniboss fights. Would improve communication and cooperation in AM, or the team member who picked, say blaster instead of Silverbolt or slingshot gets griefed to death. My idea for Combiners and Titans is a separate “Titan Arena” mode in which you select a team of five, and they summon a Combiner or Titan through the space bridge. The summoned Combiner/Titan depends on designated leader of the squad you choose. For example, G1 Prime and a team of Autobots would summon Omega Supreme, G1 Megatron + Decepticons would summon Devastator, Primal + Beast Wars would summon Optimal Optimus, and so on. The strength of the Combiner/Titan would depend on the focus of the team. Grimlock + random bots could summon Sky Lynx, but it would not be as strong as Menasor summoned by Motormaster + G1 Deceptions. An ununified squad might also introduce a chance another random Combiner/Titan is summoned. Rank and level of bots would also be a factor. Once summoned, this Combiner/Titan would face another in arena combat, best 2 out of 3. Optimal Optimus isn’t a combiner or a titan, mate. He’s the only comparable option for Beast Wars. Besides, Beast Wars bots are supposed to be tiny compared to G1, so there’s no reason to even think about how big any BW bot is supposed to be. Why isn't this in the bot suggestions thread? Of course they will. Ever heard of the burnt out rendering computers for Bay's movie involving combiners? are not too different from the others. But the difference is so small that it doesn't matter from each bot at this point. 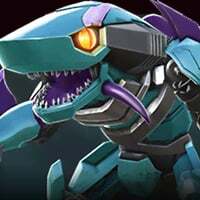 TL; DR : Yes, every bot have different CPU usage, no the Combiners will not melt your device if they make it roughly the same height as the normal bots. Kindly, from a Video game Character artist. Anyway, That was for Movie we are talking about game. Honestly, I would settle for using a gestalt model for a SP3. I personally don't feel the need for combiners to be playable. Especially for the torso bots (I guess it's too late for Motormaster unless they add a new animation). Bruticus has gotten a lot of play recently, so if Onslaught ever does appear, I hope they go in that direction. I'm super stoked about combiners, but idk how far off they are...I mean, do we even have more than 1 piece to each combiner? We don't have 1 single g1 Devastator piece. We have movie Devastator Mixmaster but that's it. If they released each piece of say, Menasaur all in a row (which would be amazizing) it would take 4 more months just for the pieces to come together.